Are you more afraid of getting cancer than heart disease? If so, you’re not alone. According to the American Heart Association, while it’s true that heart disease is the No.1 killer in women, only 1 in 5 American women believe that it is her greatest health threat. 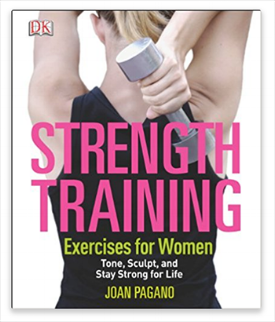 Joan Pagano is the author of best-selling fitness books, an informational speaker on health and fitness topics and the owner of Joan Pagano Fitness in New York City. Former trainer to Jacqueline Onassis and Caroline Kennedy, Joan has specialized in strength training for women since 1988. She is an authority on the benefits of exercise for women's health issues such as menopause, osteoporosis and breast cancer, as well as strength training through the decades. Read her story to learn how she came to be fitness expert she is today. Featuring at-home exercises for efficient, effective, economical workouts. Joan designs personalized plans for people of all levels of fitness to reach their exercise goals. Joan is a sought after speaker in the field of health and fitness.